Do you remember the excitement you felt rushing home from school, money in your pocket, headed to the local candy shop as quickly as you could? We all had our favorites from Dum Dum Pops and Good & Plenty to Chiclets and Snickers. 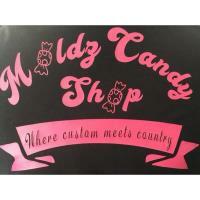 Now candy-loving residents can experience that same joy with the opening of Moldz Candy Shop located at the corner of US 70 West and Hwy. 80 (where the old Little Siena was located). 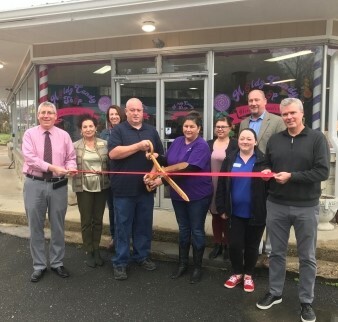 Along with owners Mindy Anderson and Dewey Lawson, the Chamber staff, city and county officials, and ambassadors gathered to celebrate with an official ribbon cutting on Tuesday, November 13, 2018. Mindy learned the art of candy making from her grandmother and is excited to offer the near-lost art to the community. 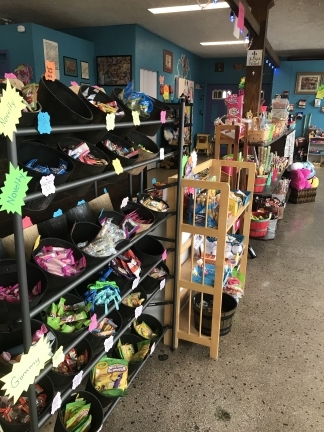 Both Mindy and Dewey have a heart for helping kids and a big part of opening the shop was to provide the experience and excitement of visiting a candy shop to area children. They have a Pay it Forward For Kids program where donations are used to provide (free of charge) candy bags for children in schools, churches, and other organizations that might otherwise never have the opportunity to purchase candy on their own. The program also is available to area hospitals and hospice care facilities to bring some cheer to residents. The shop has more than 8,000 different molds for creating custom chocolate as well as hard candies. Mindy offers different flavors of chocolate including dark, sea salt, banana, or caramel. 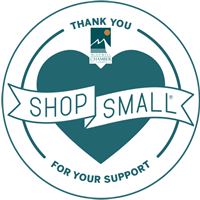 The shop prepares custom gift baskets for sports teams, vocations, holiday themes, and more. Customers can choose from a bounty of classic and retro candy along with today's favorites. Moldz Candy Shop is a great addition to the community and brings the historic, once empty building back to life in the sweetest way possible! 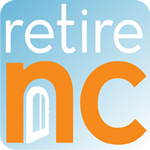 The shop is located at 2050 US 70 West and can be reached at 828.559.5498.